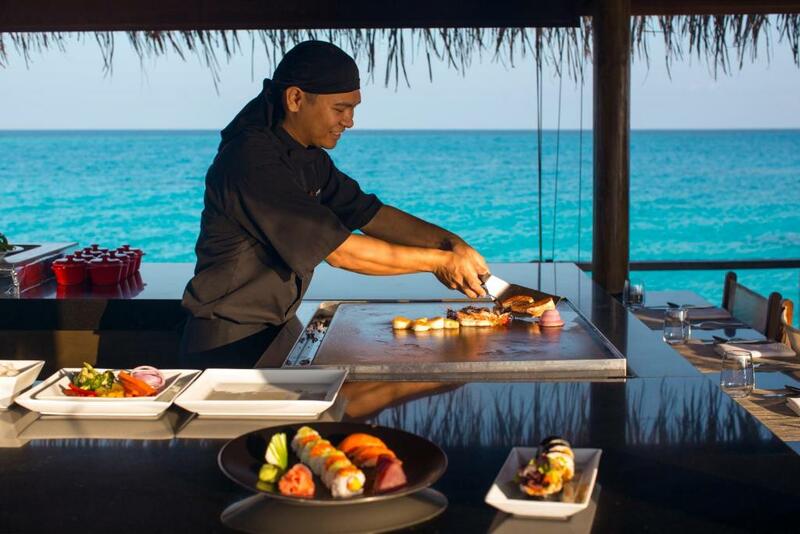 Velassaru Maldives has revamped its Turquoise restaurant. Following a two-week refurbishment, the all-day dining restaurant now sports a fresh new look, created by Olive Garden Interior Design, the same team behind the resort’s Vela buffet restaurant and Fen Bar. Choosing materials that resonate the resort’s brand identity, Turquoise is now a vibrant and modern all-day dining venue with a warm and airy atmosphere that feels like you have stepped into a chic garden. While the accent shiplap walls and the copper and resin lamps around the restaurant allow the design to blend in with both outlets, Interior Design Specialist Mei Kheng Leong designed the restaurant’s interior by bringing the outdoor and natural elements in. “The revamped restaurant has kept its laid-back vibe and diners can still enjoy the uninterrupted views of the infinity pool from the expansive outdoor deck,” an announcement by the resort read. Along with the refurbishment comes a new menu, which includes fabulous new burgers and revised dessert options. 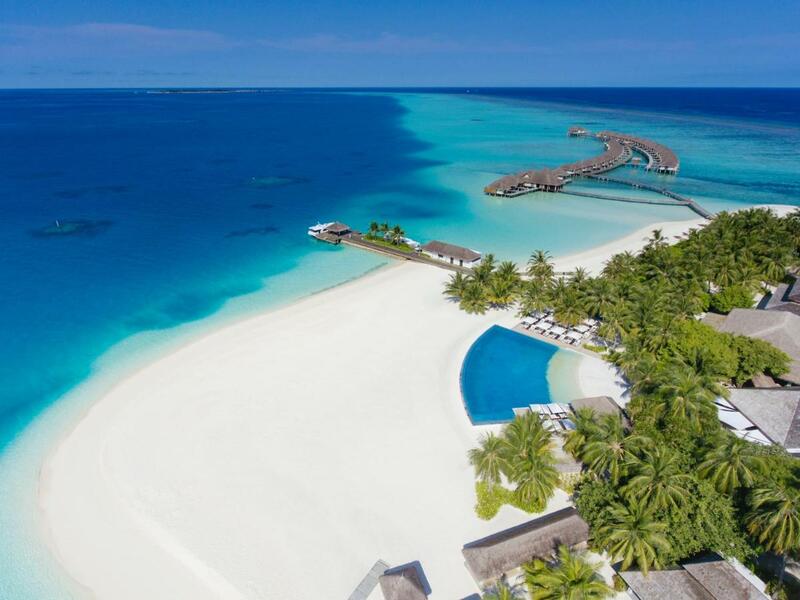 Offers luxurious beachfront and over-water accommodation with uninterrupted ocean views, Velassaru Maldives was reborn as a lovely 5-star resort for couples and families. It was beautifully redesigned and now stands next to all but a very few best resorts in the Maldives. What is immediately noticeable is the level of staff training. Quite suddenly, Velassaru began to stand out for its excellent service, in a place that seems quite quiet and well organized. All right - today the resort is a part of the prestigious chain of Small Luxury Hotels of the World (SLH).